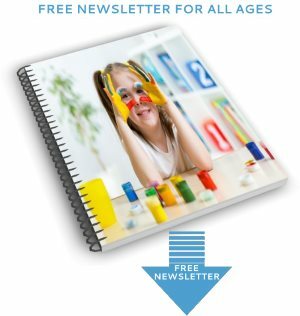 My free Courageous Homeschooling course teaches you step-by-step the techniques to make teaching your child everything you hoped it would be. 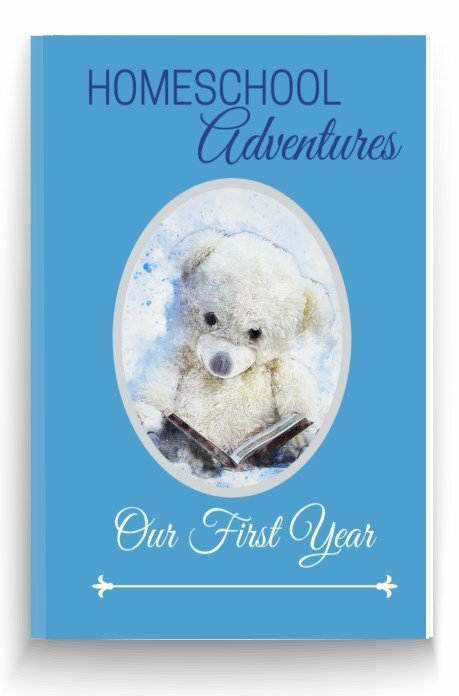 I want to start by telling you more about what the course covers and what you will be doing over the 21 lessons. 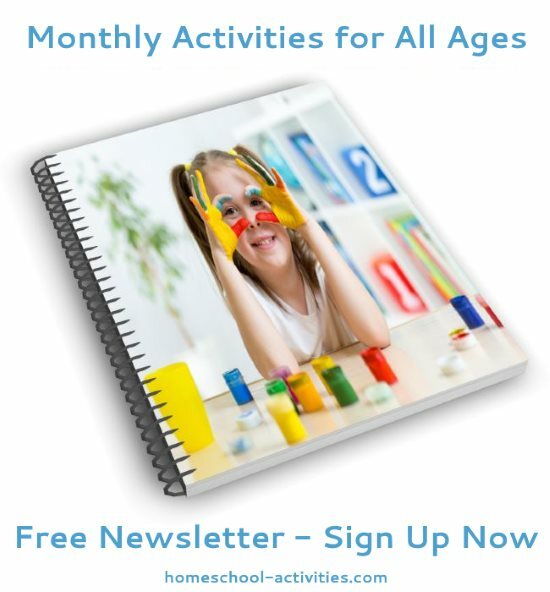 This e-Course first ran in January 2015 because I wanted to make sure it works! 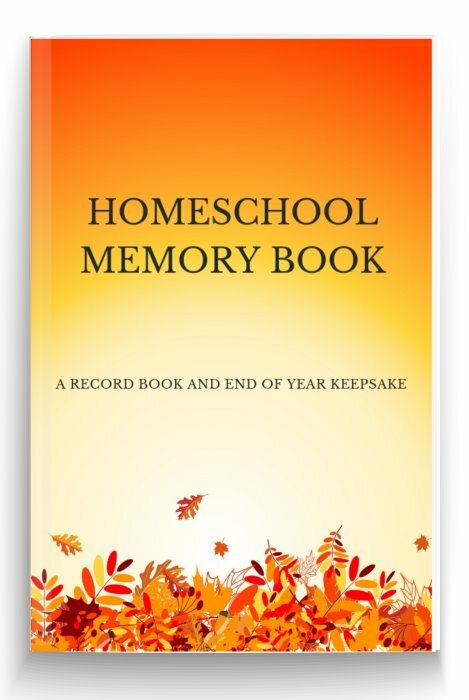 The course was an overwhelming success and 790 homeschoolers have now completed the course. 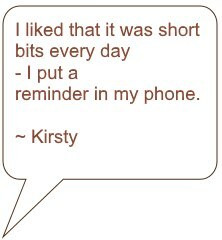 Their feedback is overwhelmingly positive. 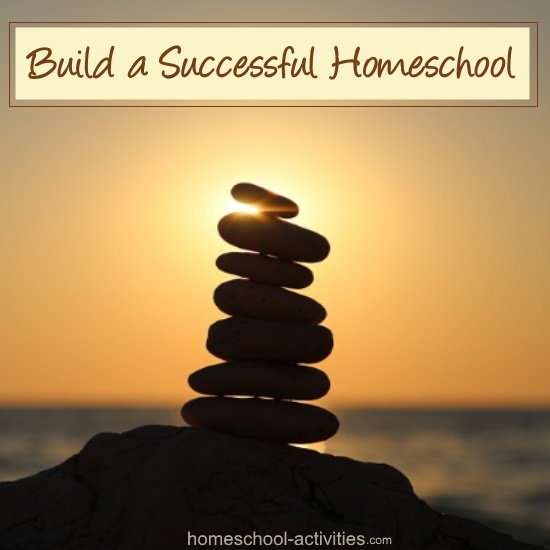 balance your homeschool so it becomes a fulfilling place for all of you. 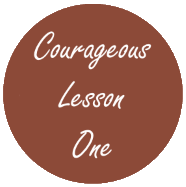 I want you to use the lessons to make yourself strong and feel good so you can fight off the niggling fears and doubts which tend to creep up on you through the day (and especially the middle of the night!). I'm a failure. I'll have to send the kids back to school. You'll also find out how to trust that everything will be okay, and learn the techniques which prove to you that you CAN DO THIS. 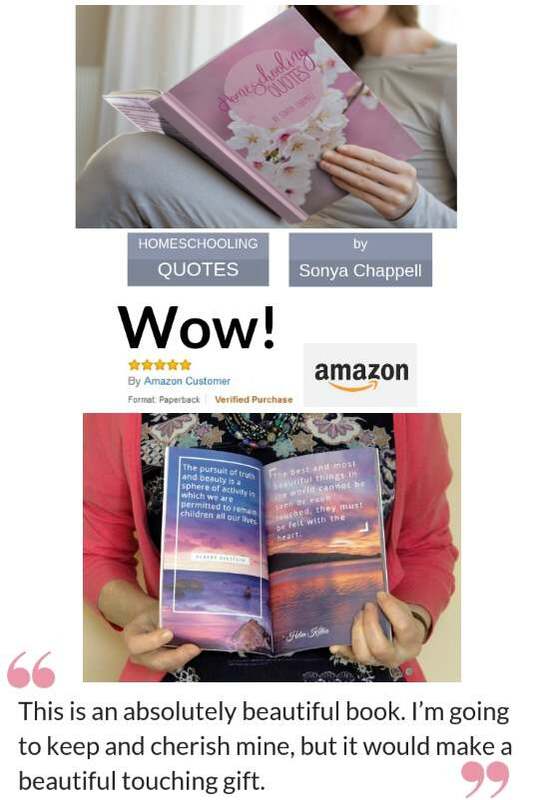 You CAN make homeschooling everything you dreamed it would be. N.B. 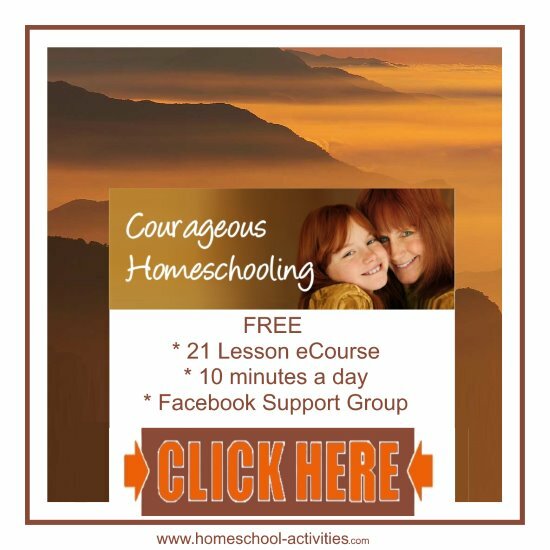 This is Lesson 1 of my 21 lesson free Courageous Homeschooling e-course which teaches the techniques to make homeschooling work for all of you. 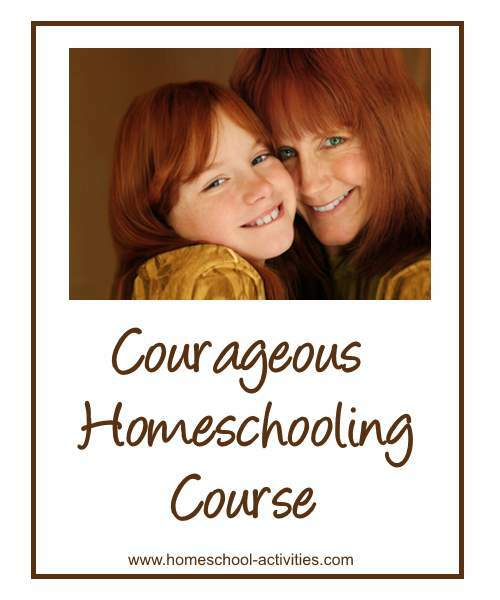 The Courageous Homeschooling course consists of 21 lessons and leads you step-by-step to your goal. The first three weeks will help you develop a tool box of skills you can dip into which will help deal with fear and insecurities – positive language, exercise, relaxation, making time for yourself, etc. The last week is about using the tools you have learned to take control, trust and recognize the abundance you have. Feedback from my first course was that the pace was too fast! Unfortunately, my website host who delivers the lessons to you, will only do so on a daily basis. So in this new course I have tried to help by giving you some time off! Hopefully this will make you feel less pressure to get everything done and slows the pace down so you feel in control. Every lesson has an Action to do. 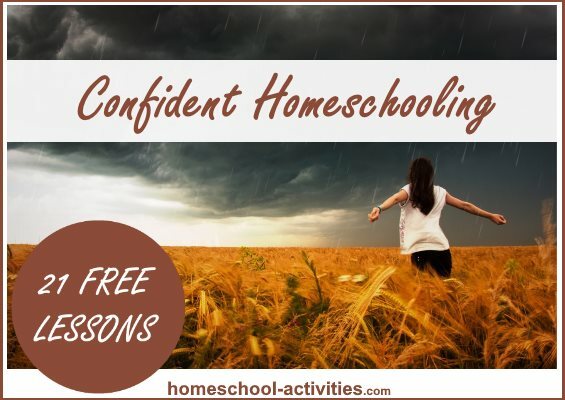 Each specific action will move you forward, towards the goal of creating a homeschool where you feel confident, happy and fulfilled. A. Free downloads to print out. B. Links to Youtube videos, music, inspirational quotes. 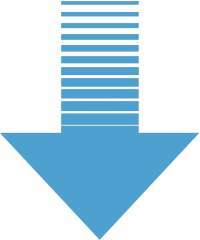 C. Pages of extra material on this and other useful websites. Each lesson will take a maximum of 10 minutes to complete, though I hope the ideas they contain will be ones you will want to keep coming back to and making a part of who you are for the rest of your life. 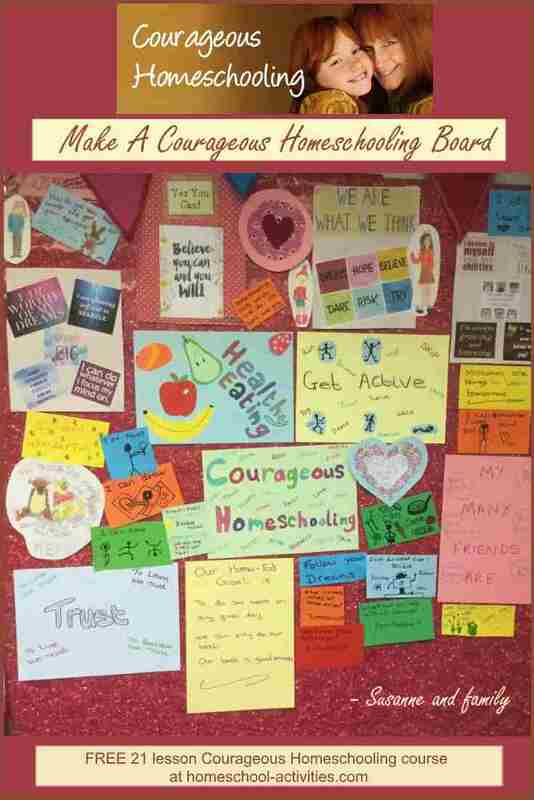 Thanks to Susanne and family for sharing their Courageous board. I have set up a Facebook Group which will be a safe and secure place where we can ask questions, offer support and help each other along our journey. When you have enrolled on the course, please come and ask to join the Facebook group. I will then accept you into the Group. The aim of the Facebook group is to help each other with advice and to give support and encouragement. 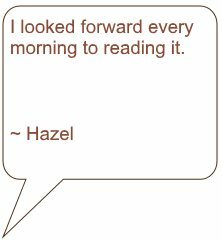 We will start each day by sharing what we are up to so we can get to know one another. N.B. People will be at different stages along the course. 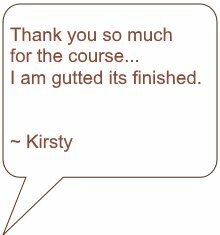 Some have already completed the course and liked it so much they have done it twice (!!! ), so there will be plenty of experience to draw on. 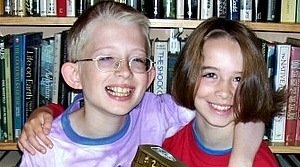 Two homeschooling Moms whose children suffer from a rare life-threatening chronic condition met on the course and decided to become support buddies. 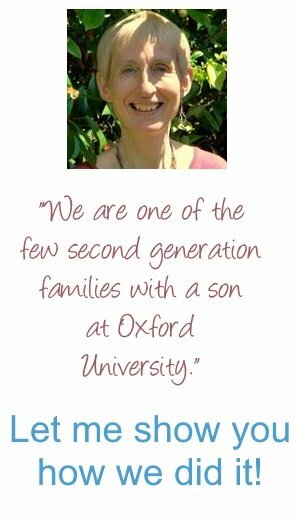 Group members set up a pen pal exchange scheme among their children. We had a Secret Santa present swap for the children. We celebrate each other's Birthdays. You can join our Post Card exchange. I'd also better tell you what you won't find in the course. 1. 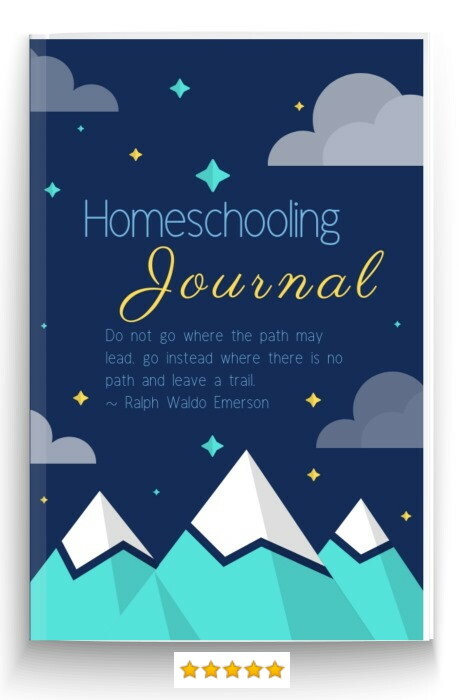 Firstly, I'm not going to cover religious beliefs in this course, although I know that many homeschoolers use this as their way of creating peace, trust and joy. I want all of us to feel a part of a course which will help anyone whether they are religious or not, and to respect that we need to keep our religious views to ourselves. 2. 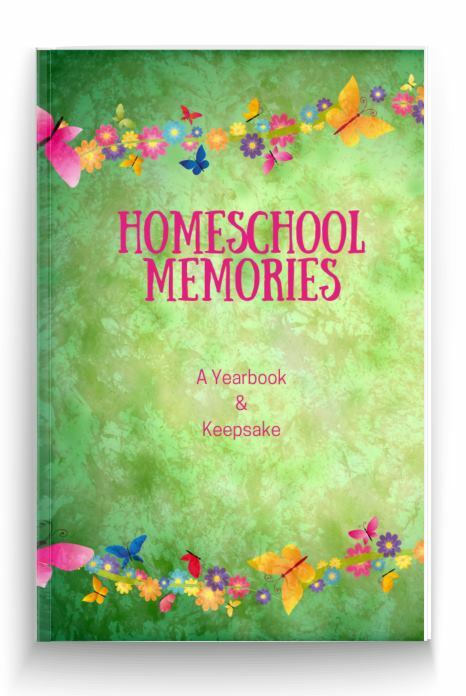 Secondly, you will be able to ask specific questions relating to your homeschool in the exclusive Facebook Group. This group will be a safe and secure place to help each other find the answer which suits each of us best. However, the course doesn't cover specific homeschooling problems like how to deal with a child who won't write. 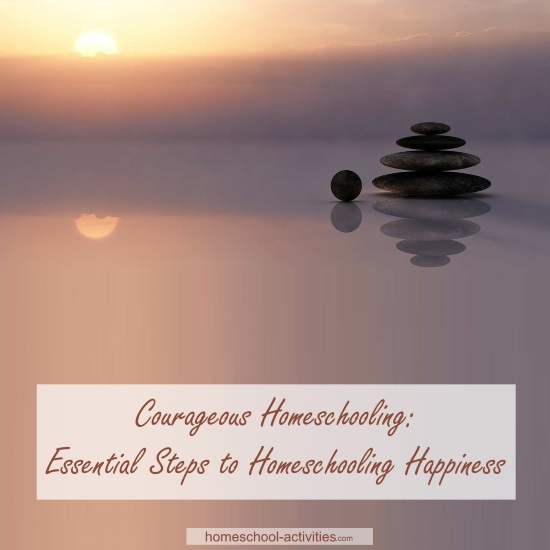 Courageous Homeschooling is about creating a mind-set where you look at 'problems' creatively and value all the wonderful opportunities which only homeschooling can bring. 3. 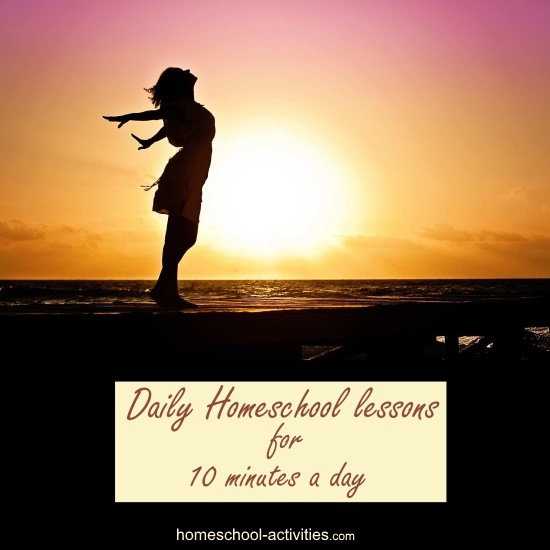 Thirdly, I have adapted some of the techniques from Susan Jeffers best selling book Feel The Fear And Do It Anyway to help us learn how to homeschool. 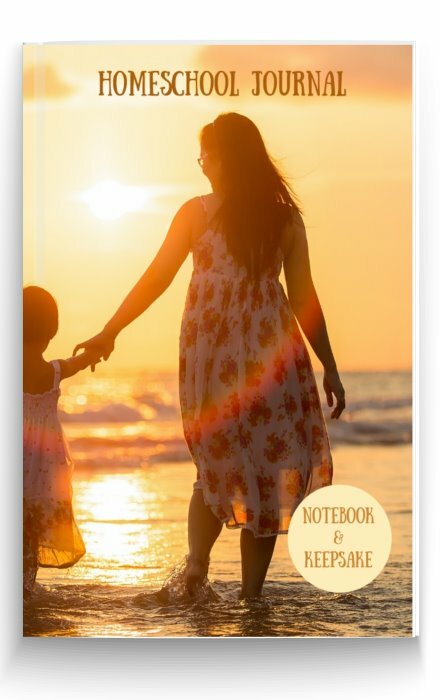 Susan's book is about changing your attitude to life itself. That's something that's a bit beyond the scope of this course! 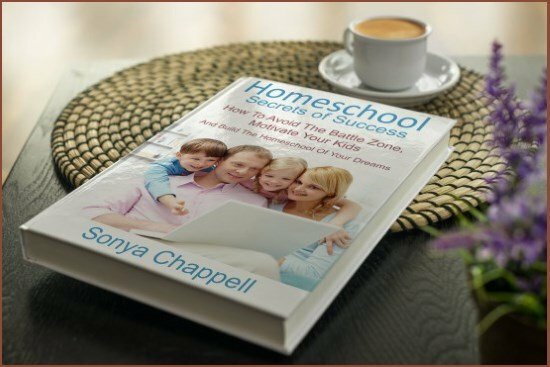 I have picked out the techniques in her book which I have found most relevant to homeschooling. That means I've left lots out! 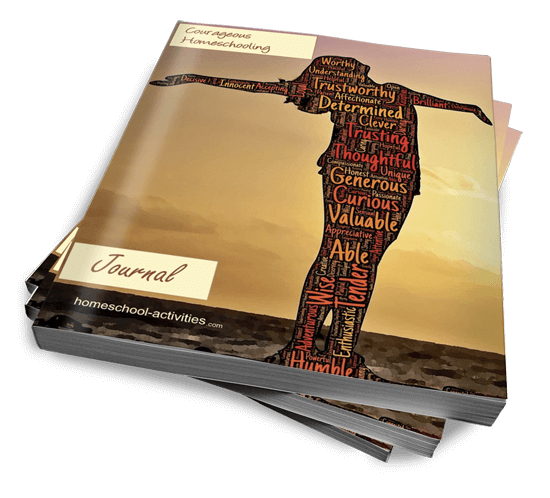 And if you are a committed Susan Jeffers fan, you may well wonder why I haven't mentioned essentials like taking responsibility for your actions and tapping into your Higher Self. All I can say is: BUY HER BOOK. You will find more in there to help you. 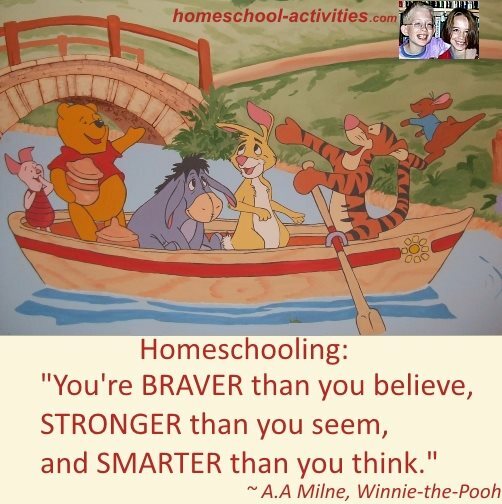 What will you achieve by doing the Courageous Homeschooling course? Meantime, let's look forward to Lesson Two. We're about to begin the most exciting journey together. 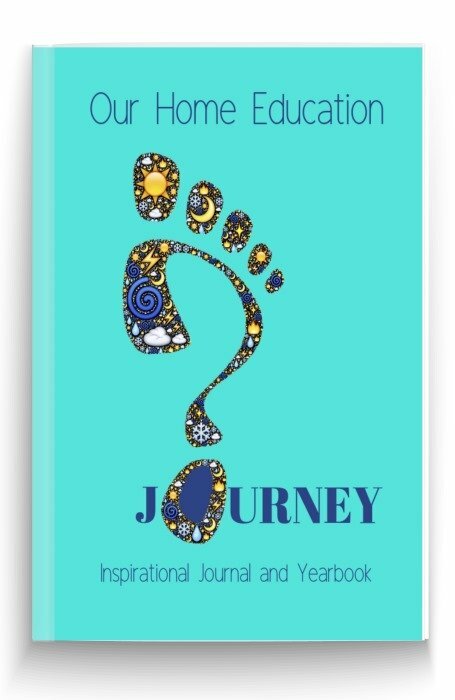 And together we're going to support each other along a journey which will be challenging, revealing, exciting and ultimately fulfilling beyond words. N.B. 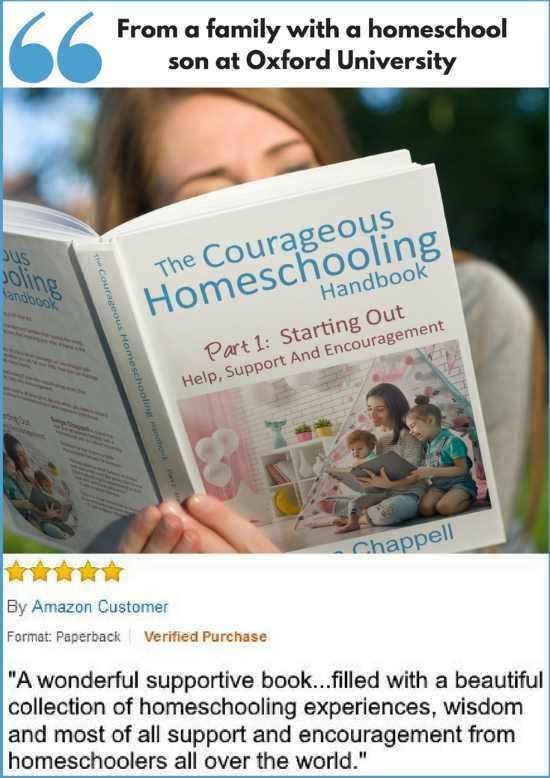 I have written the Courageous Homeschooling course based on my long experience as a homeschooling parent and what I know makes my life happy and fulfilled. However, I am not a trained counselor and anyone who follows my advice does so on their own responsibility. If you feel you need professional help, I recommend you find a trained psychiatrist or a personal counselor. 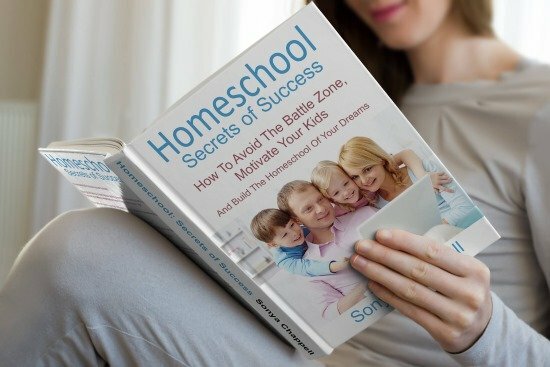 My new book Homeschool Secrets of Success is an indispensable guide to how to avoid battles with the kids so that you create a happy and enthusiastic home where learning stays fun.